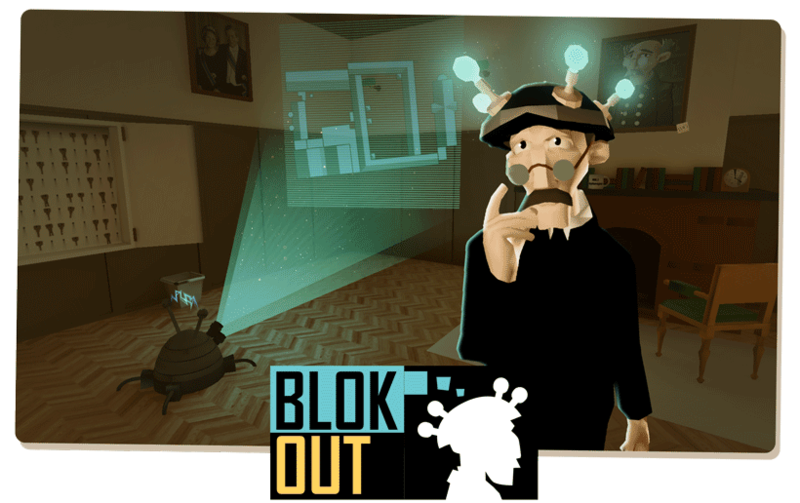 Blok Out is a serious game in which reality and a (digital) fictional game world are seamlessly intertwined. 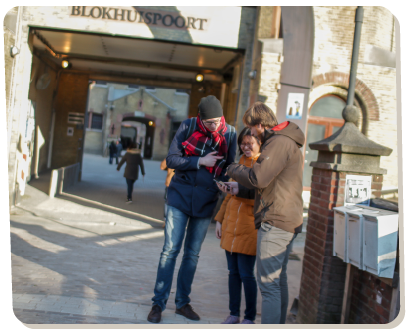 You can take the route yourself at the historic location De Blokhuispoort. At home you can already start the game. 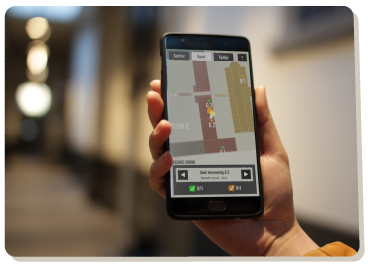 The aim of the game is to let you experience what it was like to be imprisoned and to increase your historical awareness. The game starts with an introduction in virtual reality. You can play with a headset, for the best experience, or just without it. 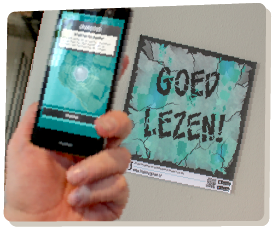 The gaming experience in and around De Blokhuispoort uses augmented reality. 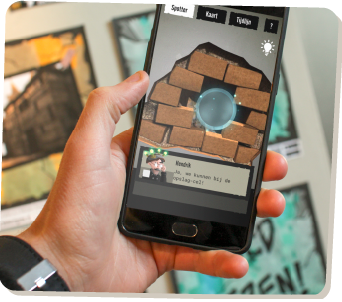 You solve puzzles by interacting with objects that exist only in virtual reality. The game can be played independently and is suitable for children age 8 and over. 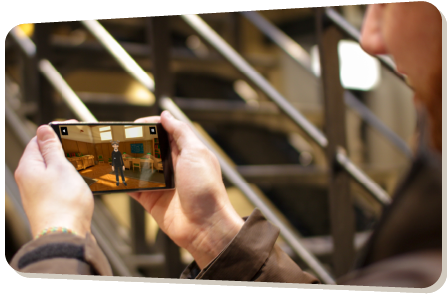 It is also easy to play if you have no experience playing games on your phone. What’s hidden in that wall? In the game you join Barend. Barend is the old key keeper of the prison. He has lost his memory and is looking for the villain who has stolen it from him. 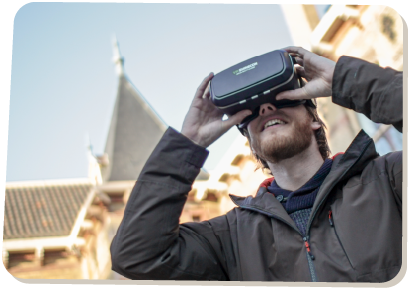 You help Barend to get his memories back by exploring De Blokhuispoort. In this beautiful monumental prison a route has been set out with puzzles in various special places. At every marker puzzles are hidden which can help you solve the Barend’s puzzle. The markers are signs that you scan with your phone or tablet. During the game the mysteries of De Blokhuispoort unravel and you discover what exactly happened to Barend. You get to know the rich history of this old prison in an interactive way. It is a fun activity for young and old and for the whole family. See you soon at De Blokhuispoort!